Lord Ganesha is the controller of the obstacles and assures help and protection to all his devotees with his hand gesture abhaya asthra. 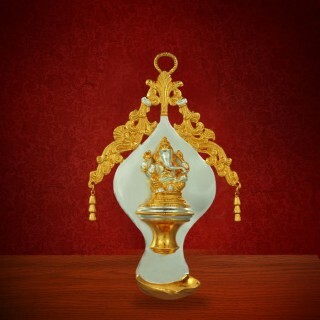 Use the Shri Ganesha wall haning Deepam in your home or office to wash out all the obstacles and gets you all victories. Maintenance: Clean with dry cotton cloth. Do not wash with water or any cleaning materials.